UFC 211 took place on Saturday night at the American Airlines Center in Dallas, Texas and was headlined by Stipe Miocic becoming the fifth fighter in UFC history to make consecutive UFC heavyweight title defenses with a TKO victory over former champion Junior dos Santos. 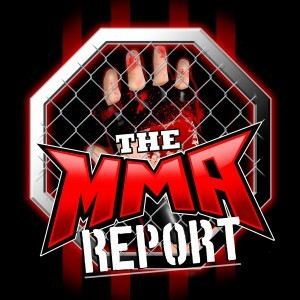 The fight card also featured Joanna Jedrzejczyk retaining the UFC strawweight title with a dominating victory over Jessica Andrade and with this fight card in the books, Jason Floyd and Daniel Galvan recap this UFC fight card on this episode of The MMA Report Post Fight Podcast. Along with talking about the two title fights that took place at UFC 211 and storylines related to this fights, Jason and Daniel give their thoughts on Demian Maia securing a title shot in the welterweight division with a decision victory over Jorge Masvidal, Frankie Edgar’s dominating win over Yair Rodriguez and why the ending of the Eddie Alvarez vs. Dustin Poirier fight is a prime example of why instant replay needs to come to mixed martial arts.